The Standard Oil Company in Whiting was the nucleus of the city’s power and influence as an industrial center. The refinery has always furnished the city with some of its most progressive and public-spirited citizens. 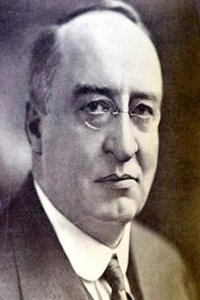 Among these are Mr. William E. Warwick, who was connected with the refining plant since its establishment, as well as devoting himself in to public service as the first Mayor of the growing community of Whiting, Indiana. William E. Warwick was born in Oshkosh, Wisconsin on January 13, 1861. After his graduation at Iowa State College in 1888 with a degree in Mechanical Engineering, he soon came to Whiting, and in the fall of 1889 he became a draftsman at the Standard Oil Company. For ten years, Mr. Warwick was head of the paraffin department. He was later advanced to the position of assistant superintendent of the plant in 1903, and years later became plant superintendent. Mr. Warwick was also one of the officials at the First National Bank of Whiting. In 1893, Mr. Warwick married Ella Fredenberg, of Evanston, Illinois. Mr. Warwick served as mayor from 1903-1906 during which time, many important improvements to the city were inaugurated and completed. During the rise of Whiting from a town of one industry to a city of multiplied interests and population, no one individual kept closer faith with the development of his community than Fred J. Smith. He did not inherit a business from a wealthy father, but instead carved out his own destiny. Fred J. Smith was born in LaPorte, Indiana, in 1862, son of Louis (a tailor) and Sophia Smith. Before coming to Whiting, Mr. Smith studied the trade of a baker. In 1889, he came to Whiting, and with the help of his friend Gallus Bader, they opened Whiting’s first bakery and restaurant. Soon Smith and Bader ventured out into other interests, specifically real estate, and in 1898 sold the bakery. Some years later the two entrepreneurs organized the First National Bank of Whiting. As the years went past, Smith and Bader quickly bought up various banks in the Calumet Region. In 1906, Fred J. Smith was elected first trustee when Whiting was organized as a town. On April 11, 1888, he was married to Helen Maas of LaPorte, the two had three sons. Fred J. Smith was a democrat politically, though casting his vote independently for the man rather than for the party. Beaumont Parks, like William Warwick, served as general superintendent of the Standard Oil Company in Whiting. He was born in Cleveland, Ohio on December 25, 1868, son of Joseph and Jane Parks, who were farmers. Mayor Parks graduated from the Western Reserve University located in Cleveland in 1890. That July, he arrived in Whiting where he found work as a timekeeper over the workmen employed in the construction of the refining plant. His employment continued to advance due to his own ability, serving nearly all the grades of service. Mr. Parks was married October 25, 1892, to Helen M. Ogram, of Cleveland. Beaumont Parks was affiliated with the Masonic Order, a member of the Hudson Chapter of the Alpha Delta Phi, and the Hammond Country Club. Mayor Parks served Whiting politically as a member of the Democratic Party, and was the president of the Whiting Board of Education for several years. Mayor Parks was successful in business, and he was able to serve and assist in the advancement of his community. The name Schrage is well known throughout the Calumet Region. The Schrages were the first family to settle in Whiting in the year 1854. Walter E. Schrage was born in Whiting, December 31, 1884. He received his education at the public schools and later attended the University of Chicago. He became a cashier at his father’s bank (Bank of Whiting) in 1903, and in 1917 elevated to the President of the bank. In 1913, when Schrage was elected mayor of Whiting, he ran on the Citizens’ ticket. Walter Scharge first began his public service as a member of the school board when he was just twenty-two years of age. Schrage was married in 1909 to Miss Lois Lawrence, daughter of Alfred Coffman and Emma D. Coffman. Mr. Schrage was a Mason, exalted ruler of Lodge 1273, Elks, Knights of Pythias, Gary Country Club, Hamilton Club of Chicago, and other organizations. Walter E. Schrage devoted much time, money and energy to the interests of the community and the betterment of its citizens. 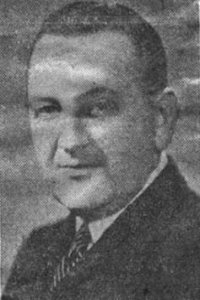 In 1929, Mayor Schrage resigned from his office as the Mayor of the City of Whiting. As a secretary of the Lake County Republican Central Committee he made many friends and allies who encouraged him to run. “Bab” as he was affectionately called, needed no introduction to the old residents of Whiting who could remember him in his “knee pants” being born and raised in the city. A graduate of Mt. Carmel High School, McNamara had to return home after only 1 year of college to take over the management of the McNamara store at the start of World War I. After the last vote was tallied on November 5, 1929, it looked like Thomas Boyle was going to capture the mayor’s office for the Democrats, nudging McNamara by seven votes. However, it was later determined after a recount that McNamara had enough votes, 3 more than Boyle, to secure the position for the Republican party. On December 17, 1929, Francis McNamara was sworn in as mayor of Whiting by City Clerk Harry Powers after a surprise resignation by Walter E. Schrage. Mayor Francis “Bab” McNamara passed away at St. Catherine’s Hospital on December 22, 1929. McNamara was 30 years old at the time of his passing. He served the city for one day, when he suffered an acute attack of appendicitis. After being rushed to the hospital for an emergency surgery, physicians were optimistic of McNamara’s recovery. However, complications developed into peritonitis which Bab eventually succumbed to. Thomas S. Boyle was born in Middlesex, Pennsylvania in 1870. He grew up in Cleveland, Ohio and later came to Whiting when the Standard Oil Refinery was being built in 1889. Thomas Boyle was an employee at Standard Oil until his retirement in 1935. In 1913 he became the first Grand Knight of the Whiting Knights of Columbus Council 1696. 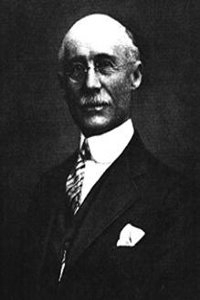 Boyle was also a member of the Whiting Board of Education from 1913 through 1929, amd in the first group of trustees representing Standard Oil Co. (IN). 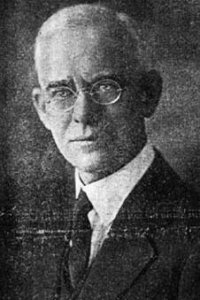 Thomas S. Boyle was on the board of managers of the Whiting Memorial Community House from its inception on November 11, 1923. 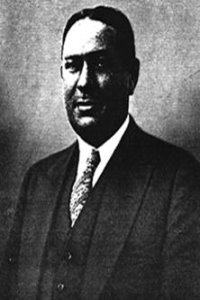 He was elected Mayor in November, 1929, and served from 1930 through 1935. Thomas S. Boyle died in Whiting on July 4, 1941. 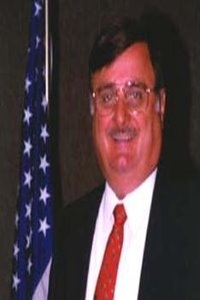 James T. (Jim) McNamara was a popular mayor of Whiting. He was the kind of man that voters crossed party lines for. Jim McNamara was born in Cleveland, Ohio in 1894. He moved to Whiting with his parents 3 years later. McNamara attended St. Michael Parochial School, now known as Sacred Heart. 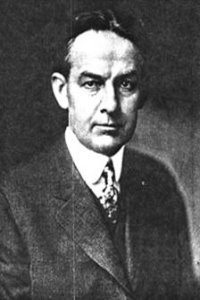 McNamara later worked as a sports promoter, as he served as owner of the Whiting Macks, a semi-pro football and basketball team. He was a veteran of World War I. McNamara founded the Whiting servicemen’s center at the Community Center. Mayor McNamara’s popularity spread across the state and at one point he turned down the nomination for secretary of the state. James T. McNamara also served as a member of the Elks, Eagles, American Legion Post 80, Irish Fellowship Club, Knights of Columbus and the Whiting Robertsdale Chamber of Commerce. McNamara died from tuberculosis complications in 1950, he was 56 years old. Had it not been for his illness McNamara may have been Mayor for 30 years. Andrew S. Kovacik was born on October 28, 1916. His father, John Kovacik, Sr. and his mother Theresa (Dado) were born in Czechoslovakia. Andrew began his education in the Whiting public schools. He graduated from Northwestern University, where he attended night sessions, with a bachelor’s degree in 1941. While in college he began a two-way career: he went into the business world as an employee at Standard Oil and he began service as a member of the Board of Education. 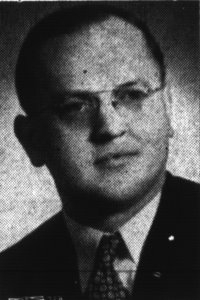 Kovacik was a master of seven languages, and in 1942, he joined the United States Army where he served as a member of the Counter-Intelligence Corps. Five years later, Andrew Kovacik was elected mayor of Whiting on the Democratic ticket. During his term as mayor, Kovacik established seven playgrounds, built a municipal softball field, appointed a full time public nurse, renovated the entire sewage disposal system, and fought for and won a better lighting program for the city. Mayor Kovacik married Victoria Fliesher on June 10, 1948. As mayor, Kovacik was an advocate for character-building and delinquency-prevention programs. 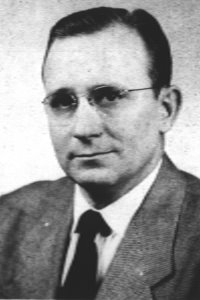 In December 1954 it was announced that Councilman Michael “Mickey” Blastick would be the next mayor of Whiting, completing the unexpired one year term of Mayor Andrew Kovacik. Kovacik announced that his resignation will be effective at midnight on December 31, 1954. At that time he would become the Lake County Auditor, which he was previously elected to in November. Blastick received the position after getting three council votes, his own and those of John Dillon and Frank Masura. John Dvorscak and Stanley Shebish were opposed to the election of Blastick. Mayor William Bercik was born and raised in Whiting, Indiana. He was extremely active in church, fraternal and civic affairs throughout the community. 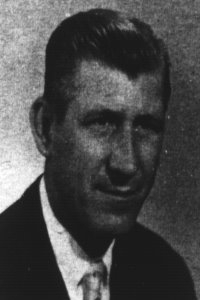 In 1957, William Bercik was serving his second year of a four year mayoral term when he succumbed to a heart attack. 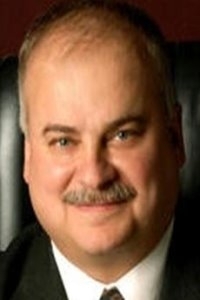 Mayor Bercik, along with Dr. Peter Stecy of Whiting and Father Walkowski of Eagle River, Wisconsin, were fishing on Forest Lake, Wisconsin, when he collapsed and died. The city council appointed Mary Jancosek Bercik to complete her husband’s unexpired term. At that time, Whiting had the distinction of being the only city in the state of Indiana to have a woman as mayor. After completing her husband’s term, Mary Jancosek Bercik went on to seek and win the mayoral office for the next four years. Besides being the head of the city, Mary Bercik was the head of a very busy household. She was the mother of eight children, four sons and four daughters. 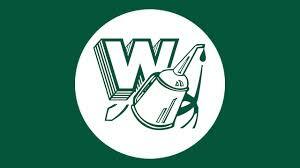 Mrs. Bercik lived in Whiting her whole life. She attended Whiting High School and East Chicago Business College. Mary Jancosek Bercik always loved the community and her constituents. She is quoted as saying, “I grew up with the people here. I like Whiting and want to continue serving it to make it an even better place to live.” One of Mayor Bercik’s goals was to repave Schrage Avenue. She was involved in many organizations both civic and recreational. She served the city of Whiting for seven years while raising her family in the process. 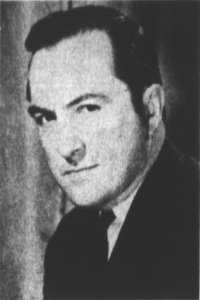 Joseph Grenchik was born in Whiting. He graduated from Immaculate Conception Parochial School in Whiting. Grenchik spent his high school days at St. Procopius College Academy. As a senior, he enlisted in the U.S. Air Force and reported for duty upon graduation in 1944. After two years of service, Grenchik was honorably discharged and returned to Whiting. In 1947 he was employed by the American Trust & Savings Bank of Whiting but continued attending business classes at the East Chicago extension of Indiana University, Roosevelt College and the American Institute of Banking in Chicago. In 1962 he took leave of his job at the bank to become active in his travel agencies, one in Whiting and one in South Chicago. Joseph Grenchik has been active in many clubs and organizations like the Red Cross, Whiting-Robertsdale Junior Chamber of Commerce, Lions Club, Fourth of July Committee, American Legion Post 80 and the Whiting-Robertsdale Chamber of Commerce. Joseph Grenchik was also a member of Sacred Heart Church. Over his political career Mayor Grenchik had been a mayoral candidate as both a Republican and a Democrat. Frank Harangody was born in 1919 to Hungarian immigrants, often described as epitomizing the American Dream. Frank was a World War II veteran who earned the Silver Star for his gallantry in action at the Battle of Bataan, while serving in the United States Armed Air Corps. Harangody’s public service to the community extended over three decades serving in a variety of elected and appointed positions. He was a member of the Elks, Lions Club, VFW, American Legion Post 80, and the Slovak Club. Frank Harangody was a Charter Member in the creation of the Whiting Little League. Mayor Harangody was a lifelong resident of Whiting and was a member of the Sacred Heart Church. He also served as the City Bailiff and the Lake County Health Officer of Whiting. Robert J. Bercik was born on February 1, 1938 to parents William Bercik and Mary Jancosek Bercik. Mayor Bob has lived in Whiting all of his life and has been married to wife Jacqueline Hrapchak since 1960. 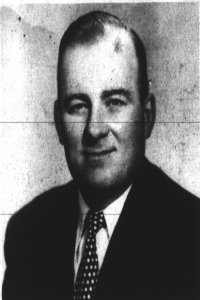 Mayor Bercik’s father served as Mayor of the city of Whiting from January 1956 until his death in August 1957. His mother finished her husband’s unexpired mayoral term. 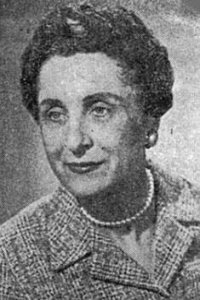 In 1960, Mary Bercik became the first female ever elected to the office of Mayor in the State of Indiana. Mayor Bob attended Immaculate Conception Catholic Grade School, Whiting High School and St. Joseph’s College. He was the owner/operator of Whiting Service Station and served as City of Whiting Street Commissioner from 1968 to 1974. Mayor Stahura began his term of office following five consecutive terms (20 years) as a Whiting City Councilman. He is the 15th mayor in the City’s history and the 7th mayor of Slovak decent. During his 20 years as Councilman, he has represented the city as both Councilman-at-Large and as the 1st District Councilman. Joe has served as the Council President, Chairman of both the Police and Fire and the Finance Committees and as a Council Representative on the Plan Commission. The Mayor has been married to his wife Diane (Babinec) since 1976 and they have two daughters, Sheryl and Eileen. He has been a lifelong resident of Whiting, attended Immaculate Conception grade school and is a 1974 graduate of Whiting High School. He also attended Lakeland College in Sheboygan, Wisconsin. The Mayor worked for the BP (Amoco) Whiting refinery for over 20 years.